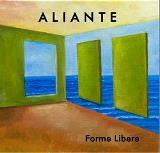 ALIANTE (meaning GLIDER in English) are a real surprise in Italian music. They are creative, careful, never dispersive and never excessive. They have clear ideas and the right talent to put them into practice. They know perfectly how to play with melody and with harmonious twists to create evocative and emotional enchanting music. A new sound sensation that smells of art and cultivated music without being snobbish. Just a gliding and planing flight, calm, reflective, with a few moments of slight madness in a faster descent can fully describe (or at least give the same kind of sensations) of the music you can hear in this album of ALIANTE. 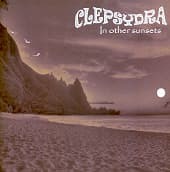 Unpretentious music that wants to open the boundaries of progressive rock to end in wide open skies, where the melody is absolute master and at the same time a travel companion of rhythms and unusual tempos. If moog solos were executed by a sax we could call it "jazz-fusion" .... And instead, the bass, keyboards, and drums sounds lead us to a symphonic-prog music, brand new but without forgetting the origins. A flight made of bright and breath-taking sounds, echoes of drums with almost ethnic sounds and the cross-beat of a loud bass. 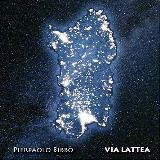 32 years after his first album "Diapason", Pierpaolo Bibbo' is back with a new wonderful progressive album in the best style of Italian prog rock but....with a little bit of new sounds: the accurate melodies are beautifully sung on layers of keyboards and guitars. 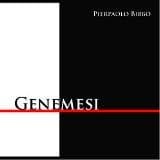 This is a concept album, going from ...Genesis to Nemesis....just to inquire our Gods about the meaning of our existence. "VIA LATTEA" (meaning: The Milky Way) is a declaration of love. Love for a special, particular, rugged and wild land, but sweet and enchanting: Sardinia.An island, always desired, conquered and liberated; the island of the mysterious "Nuraghi" and of ancient musical instruments (launeddas), of the violent colors and of dry lands, of the silent men but full of deep and magic sounds.A land of contrasts that Pierpaolo Bibbo' wanted to describe in his new record, through the often painful history of these places and cities. 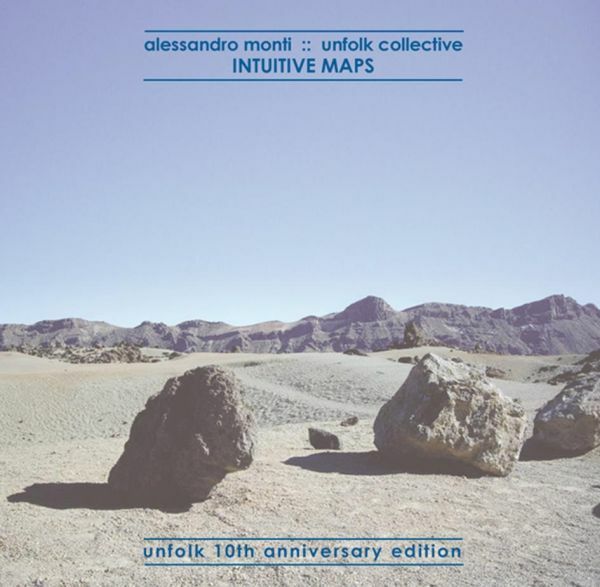 6 years after "Internal cut", the group from Bologna CENTRAL UNIT are back with their sound in between jazz-rock and progressive (but with some more electronic in it). 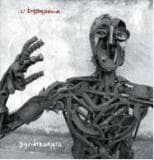 Being acclaimed as the italian PORCUPINE TREE they share with us a brilliant journey in 9 tracks. The beautiful cover is designed by CARPINTERI, one of the most famous italian comic writers. As usual, a perfect blend of electronics, melody and jazz ideas created by Central Unit: Alberto Pietropoli (sax and flutes), Enrico Giuliani (bass), Riccardo Lolli (keyboards and programming), Andrea Ventura (drums and percussions). 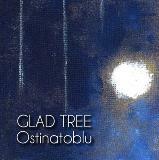 Recorded and mixed by Riccardo Lolli; mastered by Roberto Costa, composer, arranger and bass player with Lucio Dalla. Costa remixed also "What Use", the sixth track of the album, the famous song of Tuxedomoon covered by Central Unit in the EP "Loving Machinery" (1982), released also by M.P. 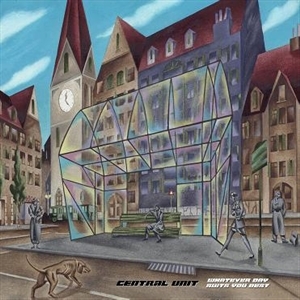 & Records in 2004 together with the 1983 debut album "Central Unit".Cover art is by Giorgio Carpinteri..
"Ostinatoblu" is the second work of GLAD TREE, a group that puts together the talent of MARCELLO CAPRA and MARIO BRUNO, both members of PROCESSION in the 70s and of LANFRANCO COSTANZA, who with great inventiveness and mastery cross the streets of the acoustic blues but putting an eye to jazz and paying homage to a great classical composer like Johann Sebastian Bach by offering the famous "Bourre" from the Suite in E-Minor for lute in their own version between the original classic and the famous version of Jethro Tull. In addition, two othr covers enrich the sound of this record: J.Parker / S.Phillips's "Mystery Train" and J. Mayall's "Waiting for the Right Time". 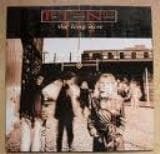 A very important re-release from the Irish band IN TUA NUA, the Irish rock act with LESLIE DOWDALL (vocals), JACK DUBLIN (bass), PAUL BYRNE (drums), MARTIN CLANCY (guitars), IVAN O'SHEA (guitars), AINGEALA DE BARCA (violin) and BRIAN O'BRIEN (uiellann pipes).... Discovered by BONO from U2 (in fact they toured a lot as opening act for U2 concerts) they signed with Virgin in 1987 (in the same year the album "Vaudeville" was released). In 1988 they released their second album "The Long Acre". It contains, among the bonus tracks, the COVER of DAVID BOWIE/BRIAN ENO'S "Boys keep swinging". This new version (fully remastered) contains 3 bonus tracks, all of them unreleased, since they appeared only as singles, with members note and unseen pictures!!!! limited edition 180 grams vinyl. 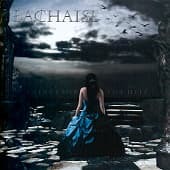 After "Once Upon A Time", released in 2012 by MP & Records, here is "Back to Earth", the second work for OLD ROCK CITY ORCHESTRA, protagonist in 2013 with a live tour in England, France, Belgium, the Netherlands and Bulgaria. After the European experience, the band gave start to create a concept album, released now for the same label MP & Records. "Back to Earth" embodies several meanings, some more explicit, others less obvious, until you get to the hidden thoughts, sometimes "esoteric".A man without traits, that as a pawn is forced to move on a chessboard, following the rules of a decadent environment and poor of feelings, still watching the inexorable passing of time, faces his existence passively, melancholic and nostalgic. And just when the forces of the mind seemed to abandon him, an impulse of inner life pushes the "man without traits" to undertake a journey into the depths of this chess-made world and also in the darker corners of his psyche. Overcoming all adversities he will leave behind the chessboard and will cross the gate "Back to Earth", marking its entry into a limbo with antique flavor. 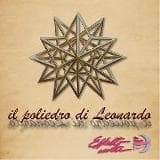 Waiting on the horizon watching a planet, Planet Earth, his new-found world .Ten original songs (performed for the first time on stage in 2014 as opening act for Bernardo Lanzetti, historical voice of Italian and international progressive rock) are making up the album, recorded in Italy and mastered in Bulgaria. 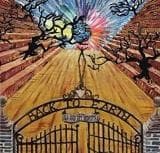 "Back to Earth", an introspective journey, both real and surreal, the (re) discovery of the inner-self and the original World-Nature.